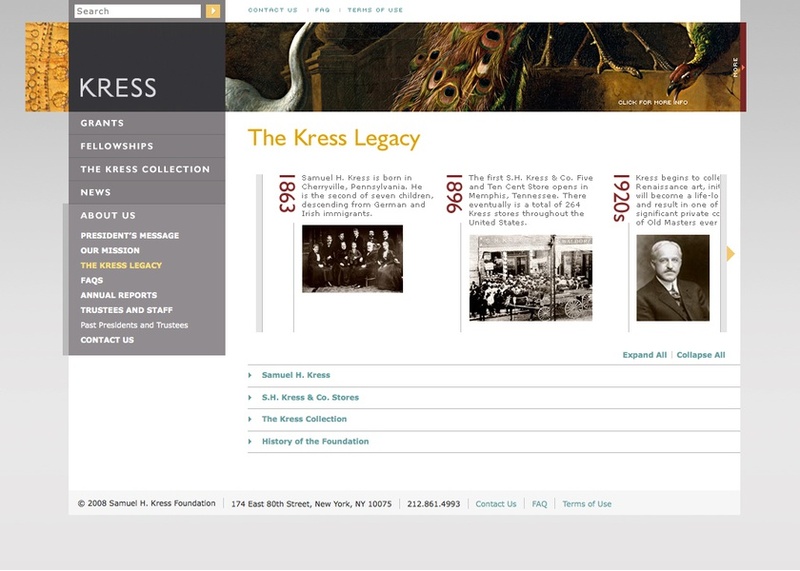 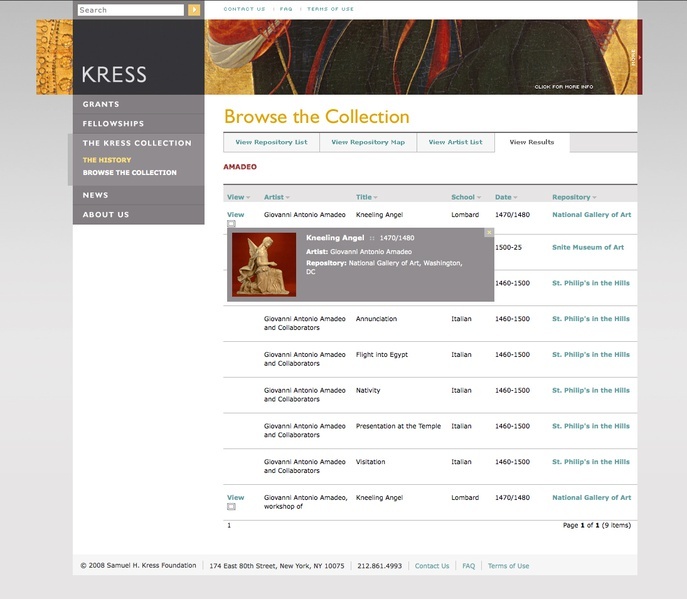 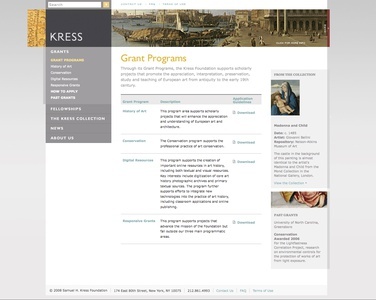 The Kress Foundation is a philanthropy serving the community of art historians, architectural historians, art museums, art conservators, and heritage preservation professionals since 1929. 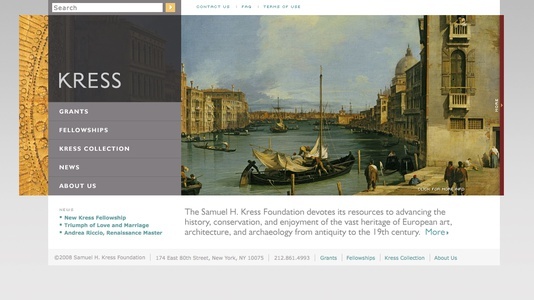 The primary challenge was to incorporate a new identity, designed by C&G Partners, and establish a visual style that was consistent with the Foundation’s values and mission. 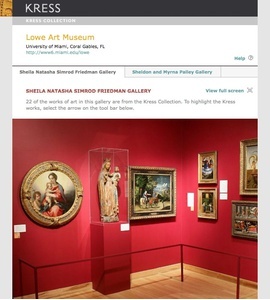 More importantly, the site required much improvement in overall structure and navigability.The new site was designed to improve the user experience as well as to showcase the Foundation’s vast collection. Much of the effort was put into restructuring the content, bringing information about the Foundation, fellowships and grant programs, and the collection to the surface. 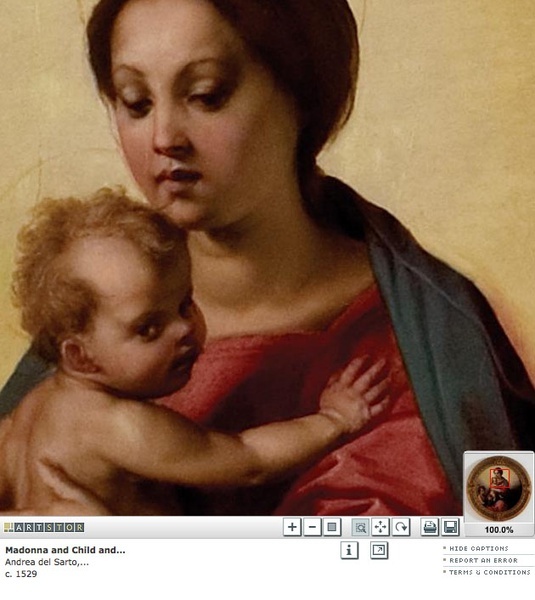 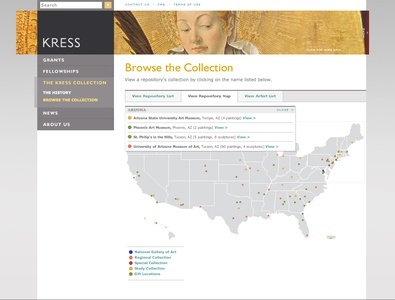 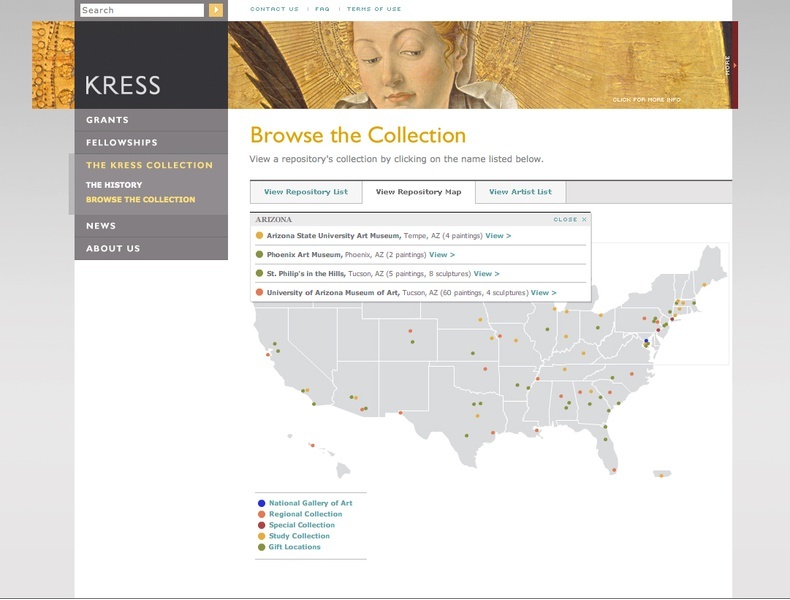 Utilizing web 2.0 technologies, C&G Partners included features such as an interactive map, informative DHTML pop-ups, and slideshow banners to provide more immediate access to the Foundation’s information throughout the site.